SKU: 150DC. Listed in: Halloween, Makeup, Makeup, Zombie. 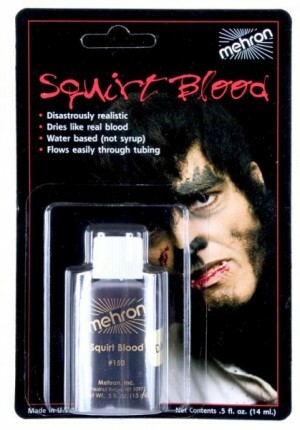 Tags: Blood, Mehron, Red, Squirt. 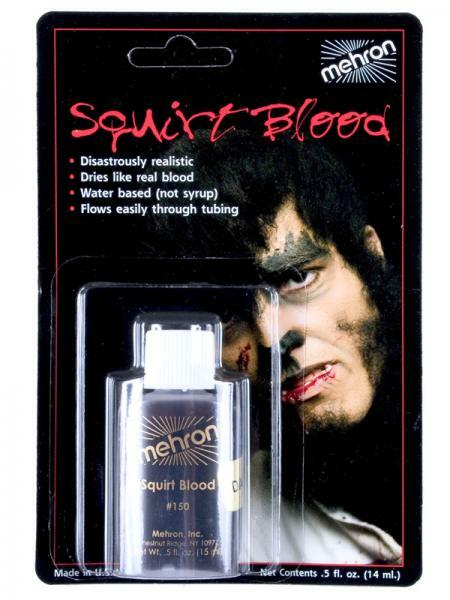 Squirt Blood Dark Red on card small 15ml size. Perfect to add blood effects to a Halloween costume like a Vampire. Great Stage quality blood made by Mehron.